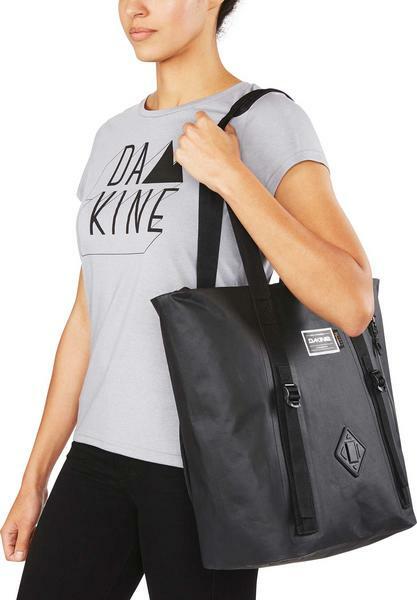 The Dakine Cyclone Tote is a fully seam-welded and made of premium coated Cordura fabric which is highly waterproof. This is a handy pack which can be used as a tote bag or backpack depending on what you need. The roomy main compartment with PU slide seal zipper keeps your dry stuff dry, and it's perfect for stowing a wetsuit on the way back from your morning session. Meanwhile the front entry slide seal-zippered stash pocket is convenient for holding your wallet, keys, and phone, keeping them separated from the elements as well as your wet gear. 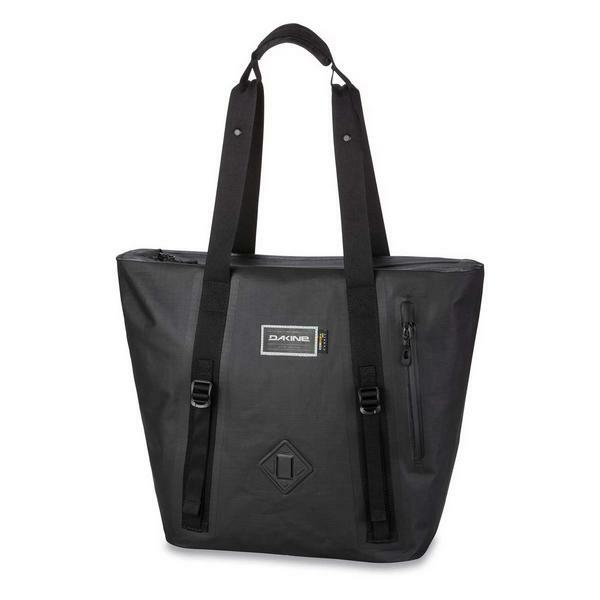 The rubber lashpoint gives you an extra carry option, cinch straps are great for a towel, yoga mat, or jacket. 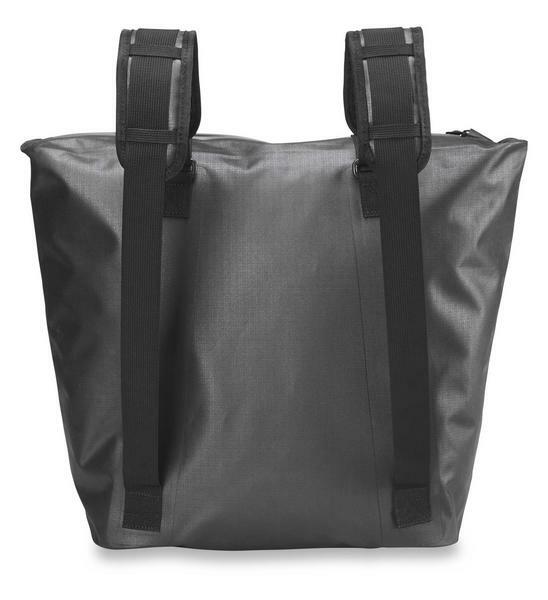 The convertible air mesh straps let you quickly go from side-carry tote to backpack, when you need to go from casual beach day to a long hike into your favorite break.